See the gallery for quotes by Naomi Campbell. You can to use those 6 images of quotes as a desktop wallpapers. Well, in brief, I was discovered by a lady called Beth Boldt. She had also been a model. She used to take pictures of the girls she found, and she took a picture of me one day in my school uniform, and it all kind of started from there. 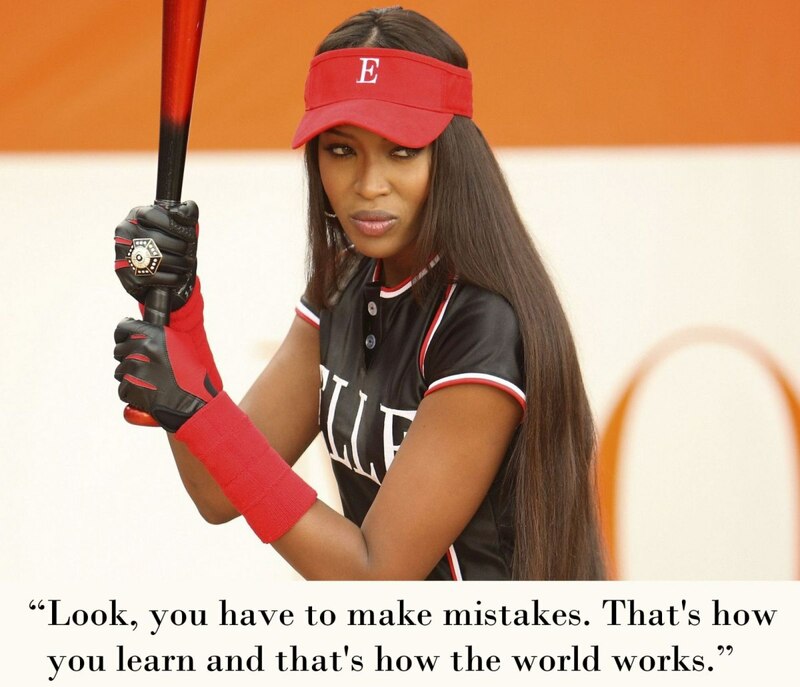 Much more quotes by Naomi Campbell below the page. What makes a person is the ability to look at themselves and deal with their own lives. I loved watching so many of the great designers I've worked with do what they do. That's why I'm still loyal to the designers that I've known since I was 16.